Welcome to our website for our holiday cottage. We are no longer advertising the cottage for rent, but we can still let it with full linen etc just as before. We've done away with the availability calendar, so if you want to know whether a period is free just contact us direct. text or call 07785 226316. 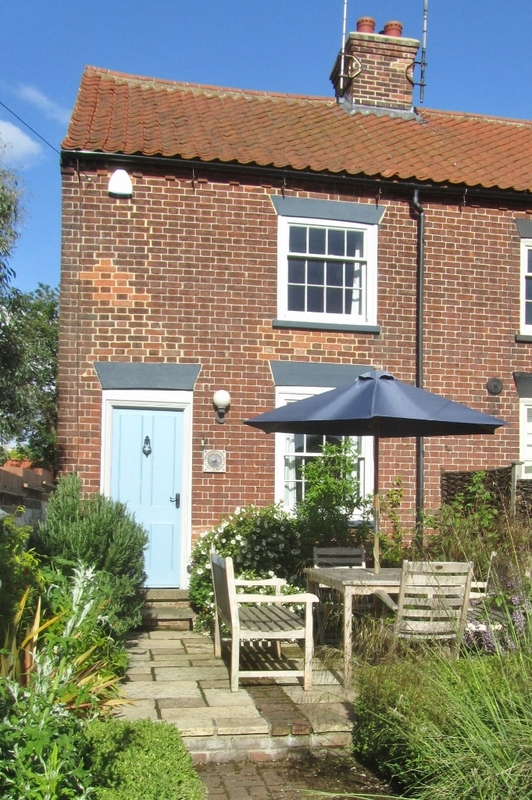 Four Elder Cottages is set back from a quiet road which is actually the North Norfolk Coast Path. 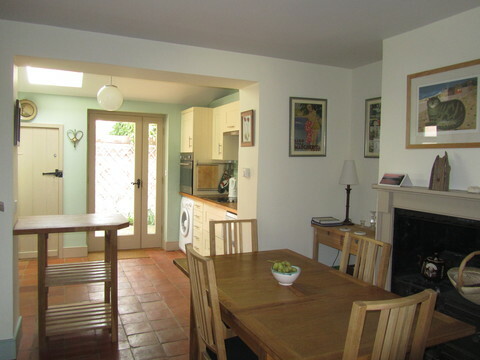 The cottage is completely renovated and has all modern appliances but still retains its period features. 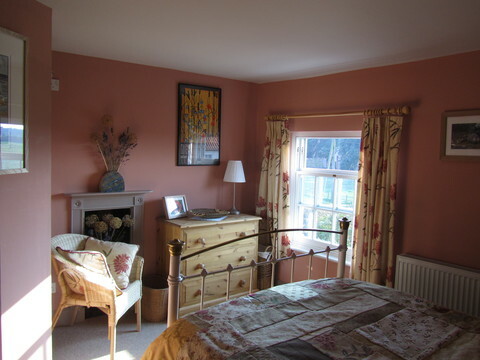 The front bedroom, living room and garden all look out across a large meadow. No pets and no smoking in the house please. 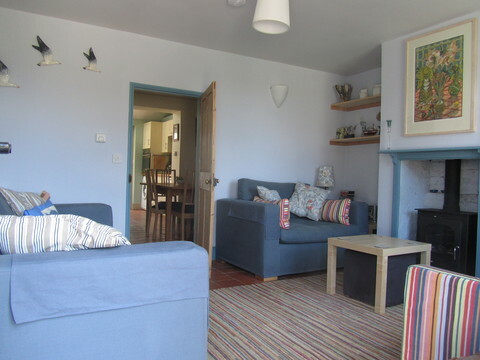 The cottage has tiled floors downstairs with underfloor heating, and central heating radiators upstairs. There is a woodburning stove in the living room. Living room with two seater sofa, three seater sofabed, armchair, side tables, flat screen television with freeview, DVD player, CD and tape player, woodburning stove, telephone for incoming calls. Unlimited Wi-fi is available for no extra charge. Dining room with dining table to seat six, four dining chairs and two extra fold down chairs. Understairs cupboard houses controls for underfloor heating, radiators and hot water and contains cleaning things and iron with ironing board. The staircase is a winder staircase, but not as narrow as some in Norfolk cottages! Kitchen with double sink. 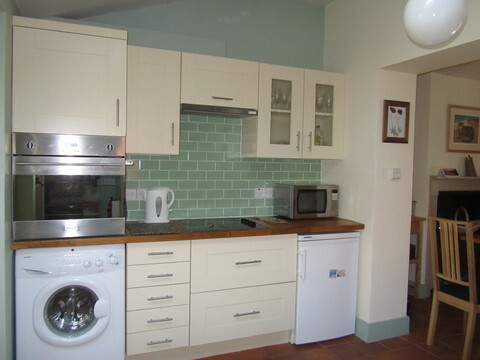 Oak worktops, fridge with icebox, dishwasher, washer/dryer, microwave, single oven, toaster and ceramic hob. Crockery, cutlery and cooking utensils for at least six people. Downstairs toilet and door leading to secure back yard with pedestrian access round back. Main bedroom with double bed, chest of drawers and large wardrobe. Hairdryer. 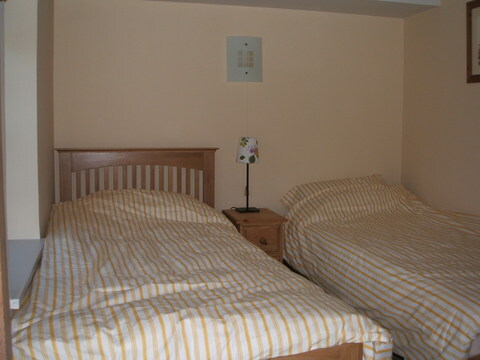 Back bedroom with two full-size single beds, one of which can be stored away for single occupancy. Good sized wardrobe. This room has a small flat screen freeview television and DVD player. 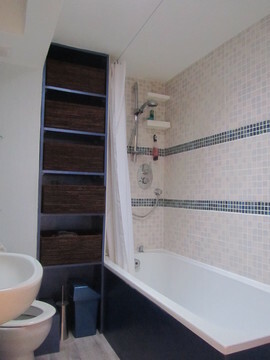 Bathroom with bath and shower over, toilet and washbasin. The front garden has a paved seating area, with furniture for at least six to sit. It is set well back from the road, which is itself very quiet. Across the road is a large meadow. The seating area gets the sun from about midday until sunset. There is a small yard at the rear with log store. This is fine to sit in but small. It gets the morning sun. The car parking area fits two cars side by side just!. There is ample scope for parking other cars close by. There are a few steps up to the garden, and a couple more into the house. There is no gate to the front, so small children would need to be supervised. 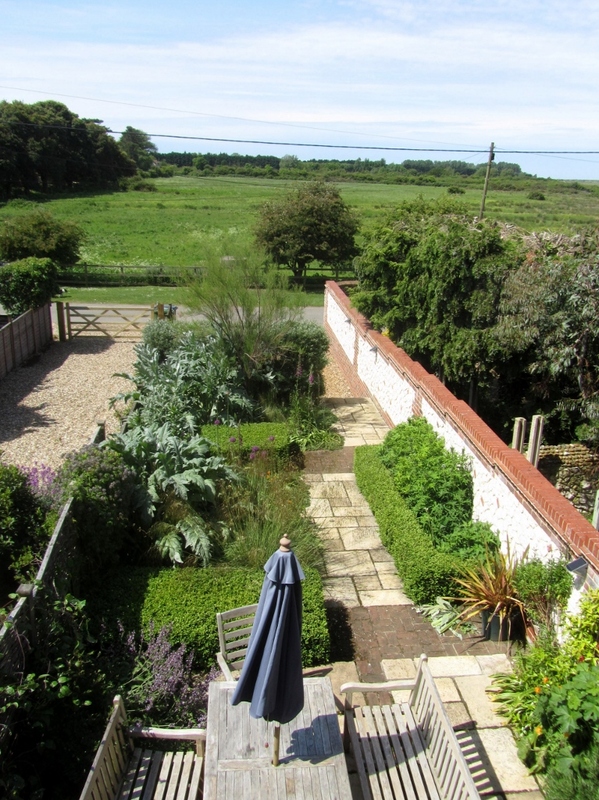 The cottage is in a quiet corner of Thornham, in an Area of Outstanding Natural Beauty. The cottage is a stone's throw from the saltmarshes for which this coast is well known, and a short walk from the harbour (10 minutes) and the wide sandy beach (another twenty minutes). RSPB Titchwell bird reserve and Holme Wildlife reserve are each about a mile away. WHAT YOU CAN DO SEE IN THE AREA. The whole North Norfolk coast stretching from Hunstanton to Cromer and beyond is a place of great variety and beauty, with many lovely little villages, and wide sandy beaches, to visit and explore. You may be content just doing this, walking and visiting the art galleries, shops and pubs which abound along the coast. Hunstanton is a seaside town, about 6 miles away, which has a number of shops and supermarkets. Burnham Market, in the other direction is altogether more upmarket! Please enquire to see if a period is available and the price. Normally we have a Friday changeover, so a week's stay is from 4 pm on Friday, to 10 am the following Friday. We use the cottage ourselves and we can be flexible, but sometimes we may ask you to be flexible also! - The cottage will be cleaned and ready for your arrival with the heating already on. The prices above include cleaning after your departure. The sofabed in the living room is fine for occasional visitors but we don't recommend its use all week because the house is not large. Please let us know if you plan to use it. Bedding for it would not normally be provided. - Wi-fi is available for no extra charge..